Based on the model of "community supported agriculture" (CSA), the "CSB" is a way for me to know that the bread I'm baking has a home to go to. Members of the CSB purchase shares that represent a certain number of loaves per week, and commit to picking up those loaves each week at a designated time. In return for the consistency and stability that this commitment allows me to rely on, I can offer bread to my CSB members at a significantly discounted price (the equivalent of $5 per loaf, compared to $6-7 at the farmer's market or in the store). During the farmer's market season (May-October) Friday CSB shares are picked up at the West Townshend Farmer's Market on Fridays from 4-7. To get all the details about pick-up times, how to choose your bread varieties, or what happens if you miss a week - or to sign up - email me at sarah@BreadfromtheEarth.com. You should get a confirmation email from me personally within a week of your purchase. If not, be in touch! PLEASE NOTE: The CSB share prices listed below are very slightly higher than those advertised due to the fact that I am charged a processing fee for online sales. While I am happy to offer the convenience of online payment, I welcome your payment by cash at the farmer's market, or by check mailed to PO Box 1067 West Townshend, VT 05359. Thank you for your understanding! 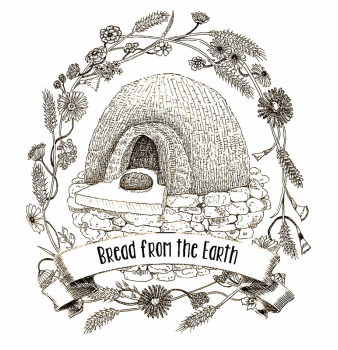 Bread from the Earth is offering a special CSB share for CSA members at Full Plate Farm (Dummerston, VT) and Wild Carrot Farm (Brattleboro, VT)! Signing up for both the CSA and the CSB is a great way to save money and time, as well as support two small organic food producers in your community. Available bread varieties include Country White, Whole Wheat Sourdough, Sprouted Multigrain Sourdough, and Rustic Rye. Choose one, or let me choose for you. Your support is so deeply appreciated. Thank you for being such a beautiful community of good-hearted folks.